Babies don’t stay small for very long. They really do grow up incredibly quickly. Those gorgeous newborn babygrows you bought don’t fit your little one any more. Your baby seems more irritable and crotchety than usual. He or she is dribbling and drooling all the time and his fist is permanently in his mouth. Your baby is probably teething! Your baby may have all or none of these symptoms. Every baby is different. As Mums and Dads, we hate seeing our baby unhappy and uncomfortable and we’ll do anything we can to help them. It can be a good idea to use a barrier cream on babies chin and neck area. Bibs will help keep their clothes dry. Make sure you buy organic cotton dribble bibs as they are much softer on your baby’s skin. Lots of babies get very sore skin under their mouth and chin when they’re teething so the softer the fabric, the more comfortable baby will feel. I really love this organic bamboo bib. 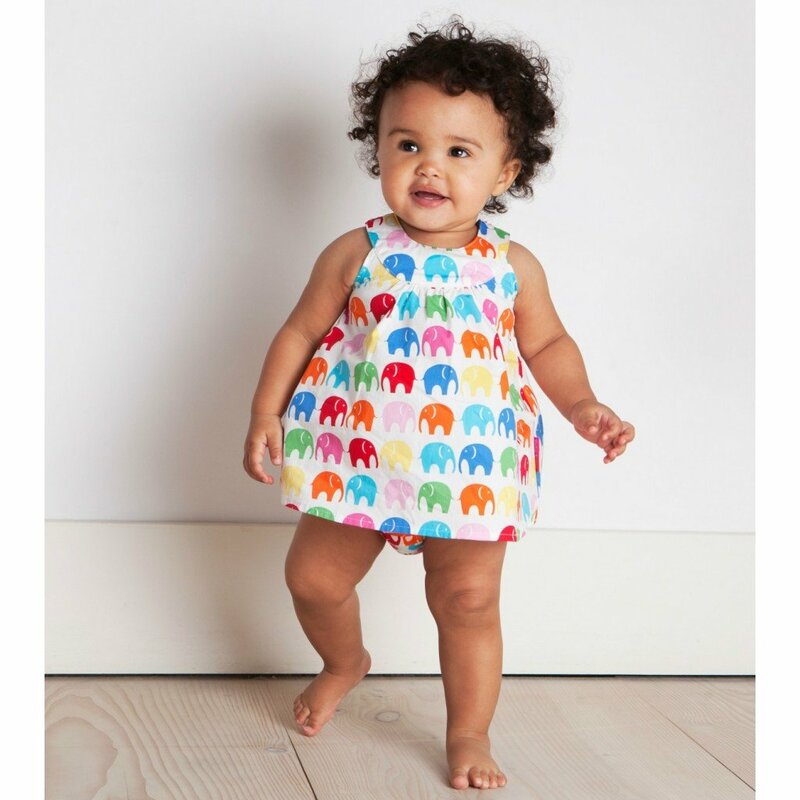 The little elephants are so cute and the fabric is the softest ever. Sophie The Giraffe is a very popular teether. It doubles up as a great toy too though. The main problem with Sophie is that she can’t be put in a dishwasher to sterilise as it will affect her squeak. So if you want a teether you can sterilise or put in the dishwasher, then the babygrow is your best bet. Sucking when feeding can sometimes cause your baby pain when he’s teething so you may have to change his position lots when you’re breastfeeding. If your baby has been weaned and is eating solids, give him something hard to munch on. Dry toast perhaps or a breadstick? Of course you can always speak to a pharmacist as they will have some useful tips and can advise on the best over-the-counter remedies. Whatever you do though, just remember the most important thing is lots of extra-special hugs and cuddles while baby’s feeling unhappy! Is Social Media Strangulating SEO?